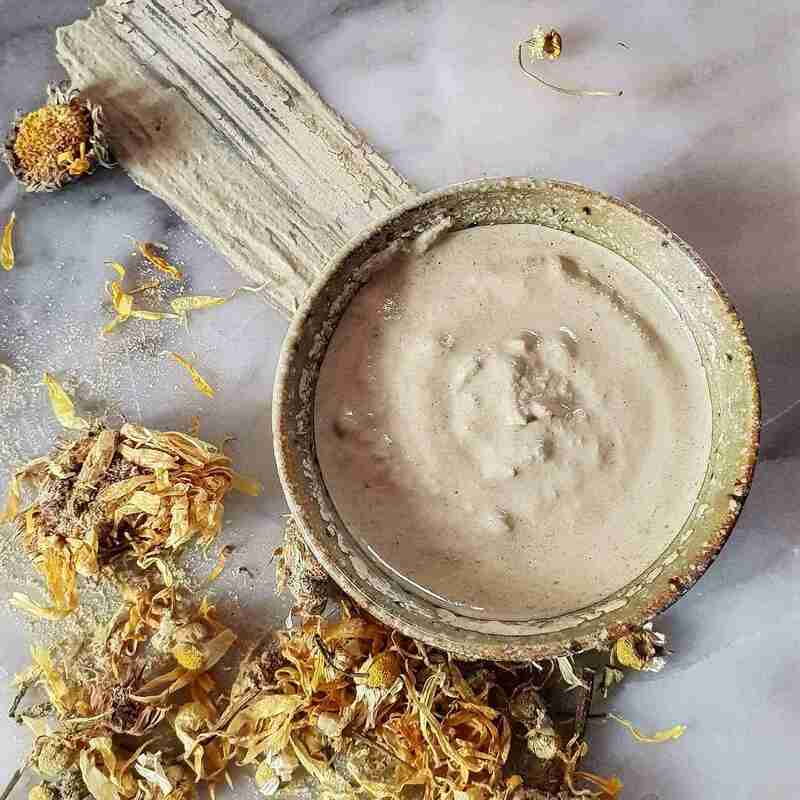 Experience flower power with this delicious blend of Calendula, Chamomile and Marshmallow. 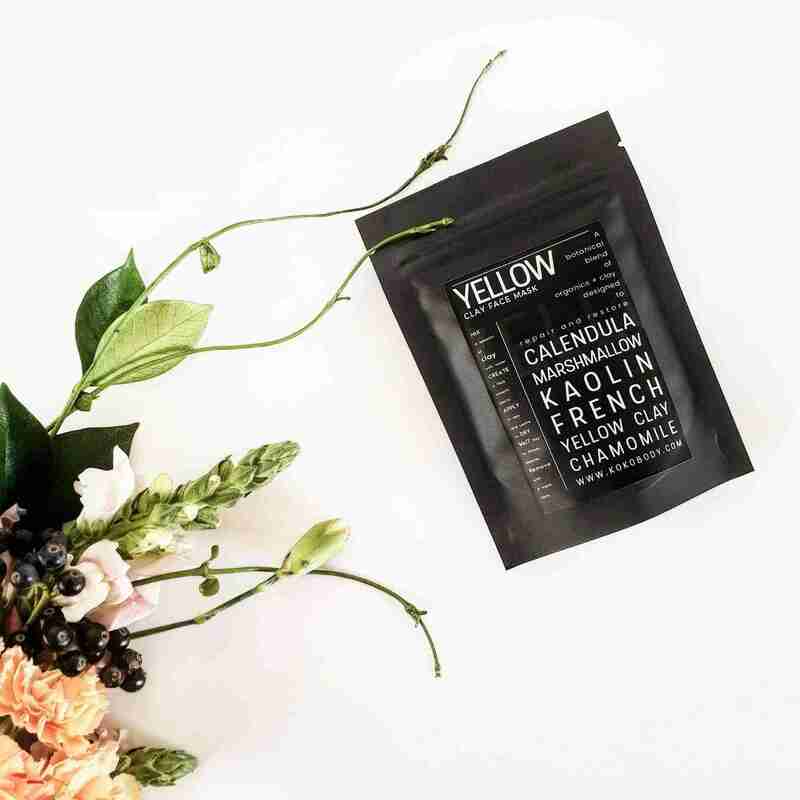 The gentlest of our masks, Yellow is created to soothe sensitive or sun damaged skin and help combat redness. Calendula petals encourage skin cells to repair and the anti-inflammatory properties nourish and heal. This healing bioactive botanical trio make a great spot treatment, reducing the redness and puffiness associated with pimples. Our masks are in powder form to ensure you get 100 % active botanicals, vitamins and fruit enzymes. Allowing you to activate the mask yourself ensures a fresh potent mask every single time. You can customise your mask to suit your skin too. Natures very own super healer, Calendula soothes and heals skin. It combats inflammation and calms irritated skin making it perfect for sensitive skin. Calendula’s natural antibacterial properties make this mask a great overnight spot treatment too. Another of natures healers, bioactive botanicals found in chamomile, help balance redness in the skin. It soothes and heals gently and the combination of antibacterial and antioxidants make it suitable for any skin type. Its one of our faves here at Koko due the power of the active botanicals it combines, including azulene which helps heal and protect skin from damage. Softening, hydating and balancing, marshmallow is a must for sensitive skin. Marshmallow root helps the skin to retain moisture, meaning it lessens the signs of fine lines and wrinkles. Its encourages cell regeneration too, hello anti-aging. Marshmallow root reduces puffiness and soothes skin. To activate your mask mix one teaspoon of mask with half a teaspoon of water. Gradually add a little more water until you get a thick consistant paste. If the mixture is too thin add a little more Yellow mask powder. If the mixture is too thick slowly add a little more water and mix until the consistancy is correct. Apply the mask using a brush or fingers working from your nose outwards. Avoid eye and mouth area. Apply thickly to avoid mask drying out too quickly and drawing moisture from your skin. Leave on for between 5 to 15 minutes then remove with a damp warm cloth. To customise your Koko face mask try some of these suggestions. It is normal to experience a little redness after using our masks due to the increase in blood circulation. It will dissipate within a few minutes. However if you feel a burning sensation remove immediately and discontinue use. We recommend a patch test before using any Koko product. All our product are completely natural and made with certified organic botanical ingredients. Koko is free from sulfates, parabens and preservatives. Our skincare is designed to be be self-preserving which is why our masks come in powder form. Each packet will make up to 10 facemasks if used correctly. *If you have sensitive skin we recommend our yellow or pink clay mask. Illite, Montmorillonite, Kaolin (French Yellow) Clay, Kaolin (White) Clay, Matricaria recutita (Chamomile) flower*, Calendula officinalis (Calendula) flower*, Althea officinalis (Marshmallow) Root*.